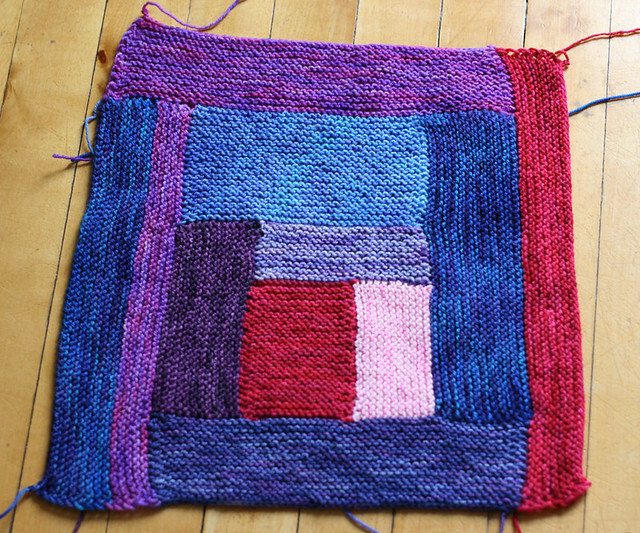 Here is what my baby blanket looked like at the end of day 2. More purple, more rectangles. This is fun, I'm looking forward to adding more stripes tonight! There is no rhyme or reason to the way I'm striping, I'm just going with the flow, knitting with whatever colour I feel like. I'm using up leftovers, so some colours I'll just knit until I run out of yarn and then start the next. I think I'll knit a thin white border around the whole thing when I'm done. It's already so lovely and squishy.